Is It Good? 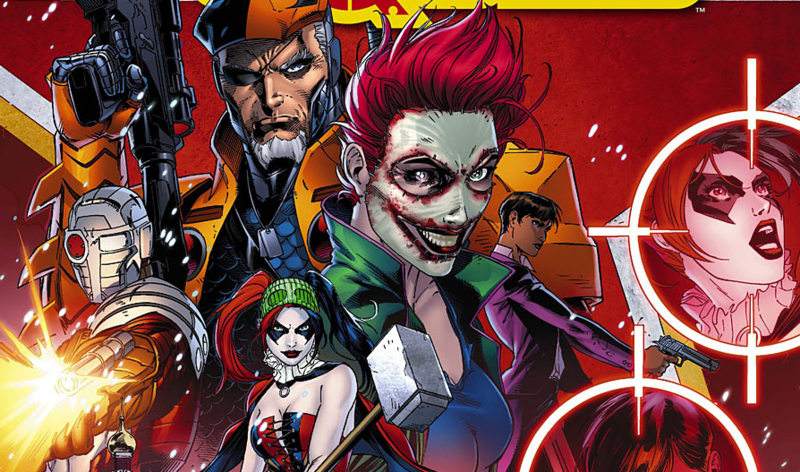 New Suicide Squad #2 Review – AiPT! The first issue of New Suicide Squad introduced us to our newest members of the Squad: Black Manta, Deathstroke, and The Joker’s Daughter — which caused uproar with the team’s original members. Now this newly assembled team has to fight their way out of the country against flying Russian robots (only the Suicide Squad would face an enemy like that.) Is it good? The problem with the first Suicide Squad series run was that it tried to be something it wasn’t: a dramatic and intense comic. You could tell around issue 21 that it began to lose its way and then the Forever Evil tie-in completely derailed it. What most people forget is that Suicide Squad was quite good during its first few volumes and it was due mostly in part to their reliance on humor. The Suicide Squad is supposed to be outrageous and comical in nature. They tapped into their character’s potential, like making Harley a sexual deviant in one panel and putting bullets in brains in the next or the fact that the team members openly discussed the fact they had no idea what King Shark even was. It was funny and made fun of the situations they were in and you went along with it because you enjoyed the ride. This issue gives Tom Derenick a lot of opportunities to create some really cool fight scenes, another ingredient to a good Suicide Squad comic. Blond also does a great job with the coloring from the shadowing of the Joker’s Daughter’s flesh mask to the gleam of light reflecting off of Black Manta’s and Deadshot’s helmet. All of the art in this issue seems to be on point. The issue is an amalgam of battle scenes and villains bickering like children so it’s sure to be one of the more entertaining issues of the week, right up there along with Harley Quinn #9. This issue definitely delivers another solid installment of one of my former favorite series. I only have one problem with it and that comes at the end of this issue. Spoiler: The issue ends with Deadshot getting shot multiple times by a Russian agent, despite Deadshot having shot him at point blank range. Deadshot can shoot a man between the eyes a thousand yards away, yet he failed to deliver a killshot from three feet away? Ryan could have written Deadshot getting shot in a way that made him seem less… incompetent.